Ghost towns are so last century. Instead of building a town only to have it abandoned when the boom is over, some places have decided to reverse the model. Today complete cities are being built, hoping people will move into them. It’s a model China has been experimenting with in rural areas, and a suburb of Vancouver may have accidentally done the same. The empty streets of Richmond BC has many local residents calling it a “ghost town” without a plan. Richmond is a booming city, with skyscrapers and cranes on every corner. Yet residents have been complaining that despite the boom, the city doesn’t feel busier. In 2015, a YouTube channel from a “long-term resident” of the city decided to document this. The sparsely uploaded videos lack context, but clearly show empty neighbourhoods, and residential skyscrapers that don’t light up at night. It’s interesting, but was little more than a conspiracy theory until Realtor Steve Saretsky did a little research. According to Saretsky, a good portion of the city might actually be empty. In a quick research note published on his blog, he looked at the Brighouse area of Richmond – a condo rich community known for its appeal to overseas buyers. He determined that over 46% of condo sales over the past year have been vacant for over a year. The rest of the city did slightly better, but not by much – an average of 27% if you exclude Brighouse. Anyway you slice that, it’s a lot of empty places that are going to need to be filled. China has a habit of building ghost cities, but they’re very different from Richmond. The Chinese government builds the cities as a part of chenzhenhua, which roughly translates to “townification.” Xinshi, which are empty new cities, are constructed in rural communities to lure young people to the city. It sounds like a crazy plan, but it works. People considered the tactic questionable in 2013, but China made it work. Almost every empty city build is on target to hit growth projections. Somehow, China has convinced rural dwellers to move to the city at an average rate of 3 million people per year. This rapid rate of re-settlement has caused the urban population to soar to 53.7%. Which is truly amazing when you consider just 3 years ago it was only 35.7%. To say they were successful at urbanizing people is a bit of an understatement. Will That Work In Canada? Richmond might be a ghost city, so what? China populates them in practically no time. Before you jump into buying an empty place in Richmond to flip to the “incoming wave” of people expected to move to the region, you should consider two factors that make Canada very different from China – Canada’s urban population growth, and government involvement. Urbanization of the Canadian population has already occurred. While China is busy relocating people by the millions, 82% of Canadians already live in urban settings. In fact, Lower Mainland, BC is expected to grow at a rate of only 30,000 people per year. Since not everyone moving to the region has decided on moving to Richmond, you can expect a fraction of that. Another key difference is the government of China has prioritized this issue. See, in China they have these things called “Five-Year Plans” that the whole government agrees need to be executed by the end of term. With a few rare exceptions in the beginning, they’ve executed on almost every plan. During the 12th Five Year Plan (2011-2015), rapid urbanization of rural communities were a top priority, and surprise! They nailed it. In Canada, we tend to not be so harmonious about what the government needs to execute. In Richmond, individual speculators are hoping Canadians will decide to move to the suburb South of Vancouver. It’s not impossible, but the incentives to move to Richmond are lacking – other than soaring property values. These property values are because people will move there in theory, but they haven’t figured out why they would do such a thing. It’s not a great plan, but it’s the plan they’re running with. So, can Richmond fill all the condos with buyers that participate in the local economy? Or will speculation driven purchasing continue to push prices higher? Your guess is as good as anyone else, but it’s hard to see exactly what the government is going to do to create attractive reasons to move there. Like this article? Like us on Facebook and get the next one right in your feed. It’s even more of a joke when you look at their projections. They think 400k are going to move in the next 5 years…which when you think about it like bolting on a city the size of Halifax in 5 years. Those are pretty ambitious goals, even for China. 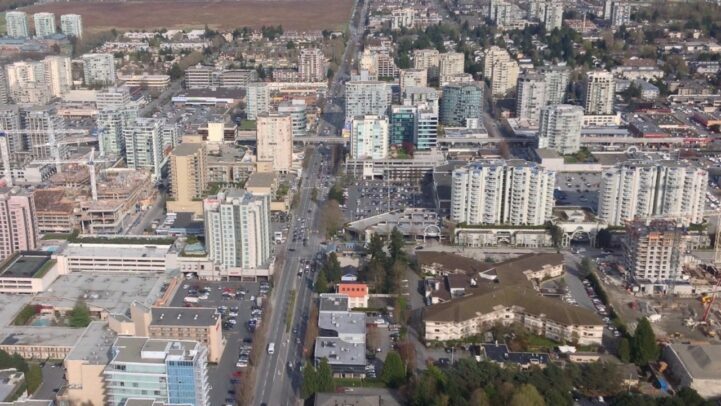 it isn’t anything close to downtown or Burnaby for that matter, but fact is Richmond is the most desired place to live amongst those immigrating from Mainland China. So.. yes , it is sustainable.